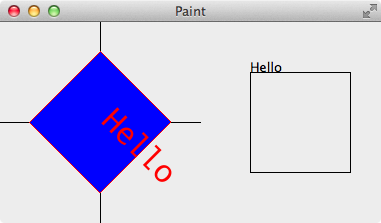 void QPainter::save() - Saves the current painter state (pushes the state onto a stack). A save() must be followed by a corresponding restore(). void QPainter::restore() - Restores the current painter state (pops a saved state off the stack).